Under the direction of a part-time Fire Chief and Fire-EMS administration staff, the Wyoming Fire & EMS Department is comprised of 60 volunteer firefighters, EMTs, and part-time paramedics who provide a wide range of services to both Wyoming and several surrounding communities. 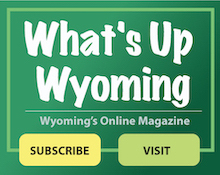 The Wyoming Fire & EMS Department responds to approximately 700 calls a year. These calls include the combination of fire, medical, and special services needs.